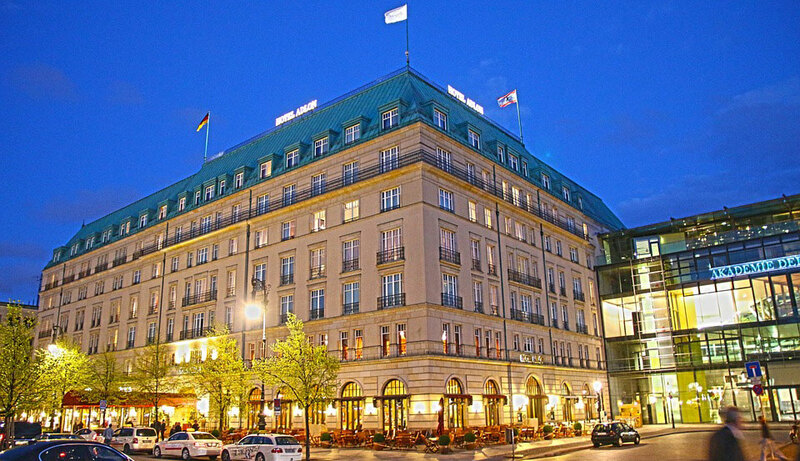 Hotel Adlon Kempinski Berlin. This five-star property on the Unter de Linden Boulevard at Pariser Platz is situated in a prime location within close proximity to designer boutiques, art galleries and historical attractions. Inside, guests will encounter elegant accommodations with tastefully appointed rooms and suites featuring sophisticated bathrooms, free Internet access and other luxuries. The Moet Imperial Lounge on the Adlon Terrace provides the perfect vantage point for taking in the sights and sounds of the city. Here you may order mouth-watering appetizers and refreshing champagne cocktails. Exquisite restaurants also await with Lorenz Adlon Esszimmer boasting two Michelin stars and cuisine by Chef Hendrik Otto, and the stylish Uma Restaurant serving creative sushi dishes. A stay is not complete without a swim in the gorgeous pool or indulging in a relaxing spa service. Radisson Blu Hotel Berlin. Across from the Berlin Cathedral on the Spree River lies this distinctive property known for its famous impressive AquaDom, the largest cylindrical aquarium in the world and home to 1,500 tropical fish. Guests can take the lobby elevator and travel past the amazing marine life. As for accommodations, each of the 427 guestrooms and suites boast panoramic views of the cityscape along with complimentary Internet access and a nice selection of international television channels. There are several destinations for food and drink including Restaurant Heat serving international cuisine and the Atrium Lobby Bar and Lounge featuring a nice view of the tropical underworld above it. Group gatherings are also welcome at this hotel with flexible meeting facilities and function space. Schlosshotel Im Grunewald. Located within the beauty of the lush Grunewald forest, this fine hotel, featuring only 53 rooms, is full of character and charm. The small size of the property allows guests to enjoy a private and exclusive experience without interruption. Sports and recreation are available with outdoor enthusiasts opting for a run or walk around the lake. Those who prefer to stay indoors retreat to the pool or Finnish bath for the ultimate in relaxation. Want other hotels in Berlin?